The head of the nation’s biggest abortion business is happy pro-abortion President Barack Obama is forcing states to fund it with their tax dollars. Let us not lose hope. Fr. Frank Pavone, the National Director of Priests for Life, did advise President Elect, Donald J. Trump, on the Right-to-Life, meaning that the Obama administration will not have the last word. What still boggles my mind though is people that defend Planned Parenthood by saying that they provide Women’s Healthcare. Aren’t baby girls women? How are they protecting them? And as for the that claim that PP does cancer screening, PP does NOT do Mammograms, no matter what Ms. Richards says, they only refer to other providers, so why not just go directly to these other providers and fund them? […] women who count on Planned Parenthood for their family planning and their cancer screening can continue to go to us for care. There is no way around it. For those that tote Social Justice as the be-all, end-all…how can you have any justice without the most basic foundation of Justice, LIFE? For the full release from the HHS Press Office, click HERE. For the full article, from where the excerpts come, click HERE. 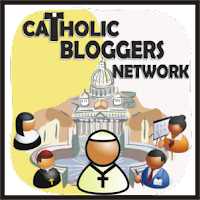 Children, Evangelization, Faith Journey, How I See It, Parenting, U.S. of A. You did find one of them anyway… I spend more time working on my personal business site now when I have time to add stuff.